“rox in a box®” is a brand and service which is unique and innovative to the specialist washrooms and receptions. We collaborate extensively with Architects and designers, working with their concepts from pre-construction right through to supplying and installing a very bespoke product. Our dedicated design teams expertly integrate all the specialist finishes and bring quality and precision to ensure all the interfaces are brought together harmoniously. 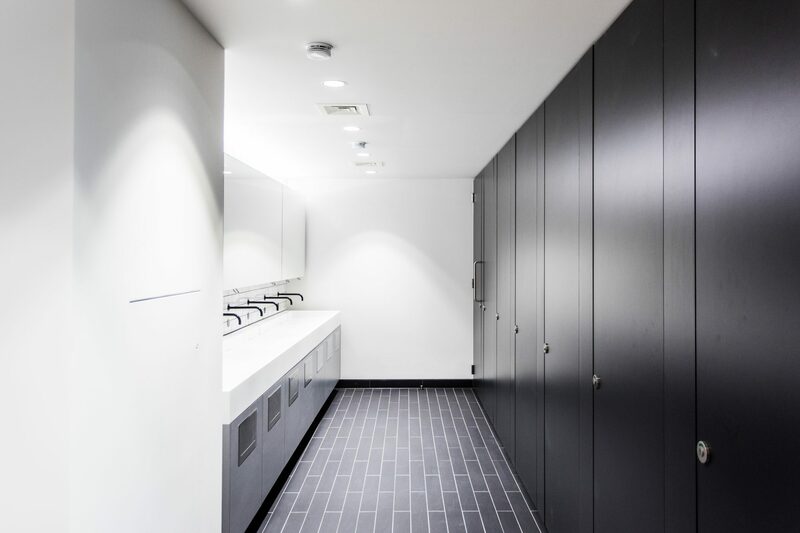 We have a strong ethos in our designs and systems especially within our washrooms “if it cannot be maintained it cannot be built” our strategy is to provide our clients with long term solutions to their facilities. Product development and innovation is in the forefront of our existence, we have our own washroom systems and services that are distinctive to “rox in a box” which include floor finishes, cubicle systems, wide range of mirror vanity cabinet which include electronic functions, IPS systems, specialist glass finishes, vanity units, joinery, drywall partitions, ceilings and finished decoration works. Our objectives are to design with detail, where we are solely in control of the delivery of the washrooms, we create the “box” procure specialist materials off the detailed drawings to fit inside the box with precise accuracy. Within the fit-out sector there is an ever-increasing challenge to meet tight programmes and deadlines. With “rox in a box®” there are clear advantages of efficiency and quality and a streamlined delivery.